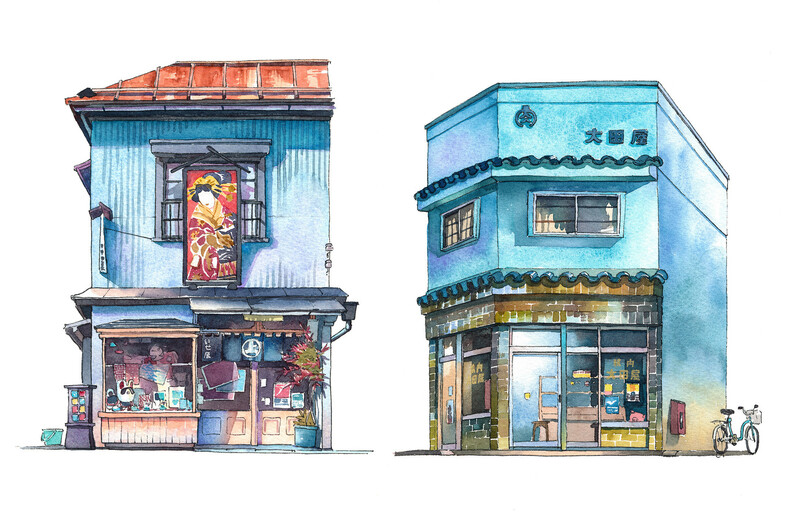 When I moved to Tokyo, more than 3 years ago I was really surprised that upon my walks I encountered so many shops still in business in really old buildings. Differently to Kobe, where the earthquake wiped out a lot of these old downtown houses and shops, in Tokyo they still survive. 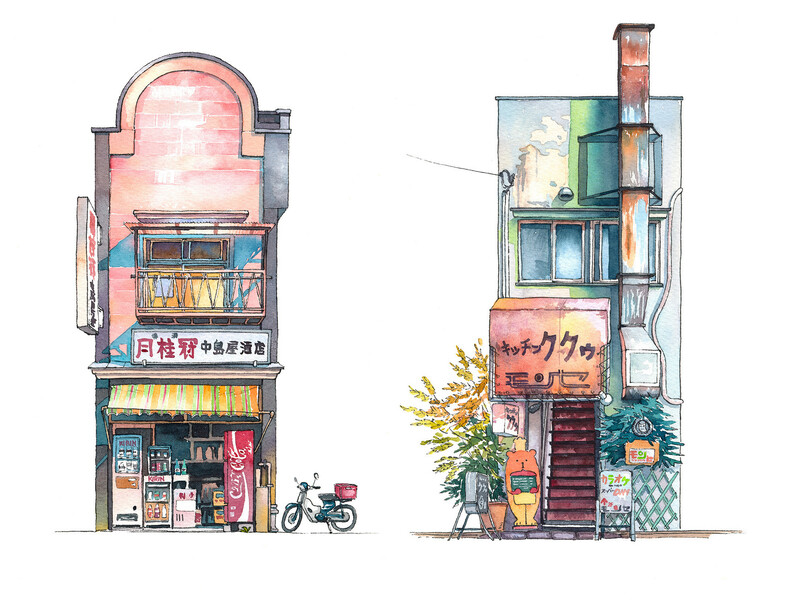 Spoon & Tamago: Mateusz Urbanowicz, also known as Matto, is a Polish artist and illustrator currently based in Tokyo. 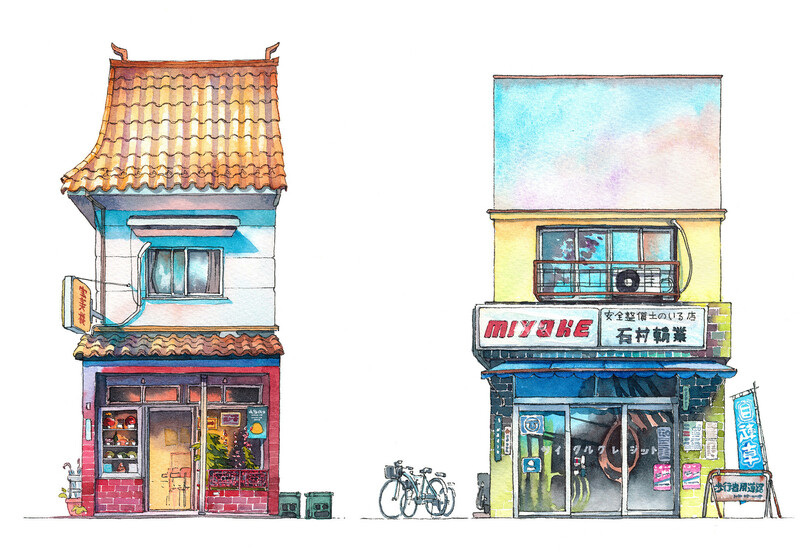 ⋮ One of his latest projects is the Tokyo Storefront series. Some brilliant tutorials by Urbanowicz which show the amount of detail and technique that goes into his paintings. 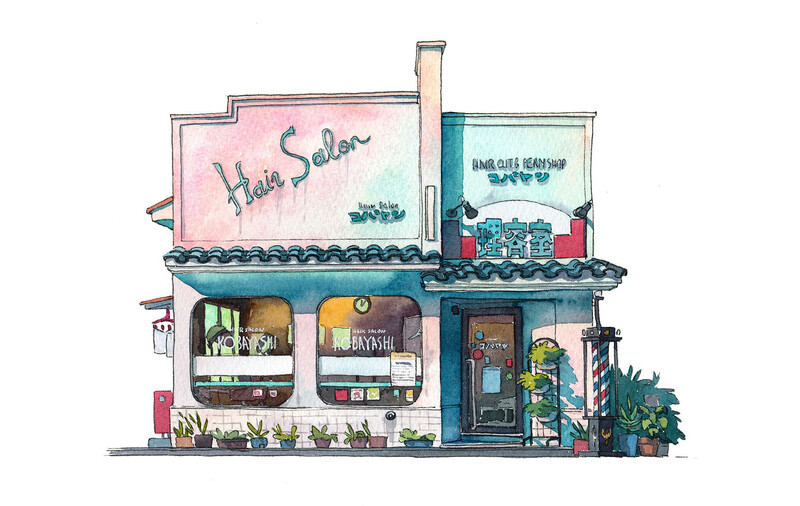 mattjabbar.tumblr.com — Urbanowicz’s blog is also an incredible source of inspiration.